How Do You Know if You're Addicted to Cocaine? What Types of Cocaine Addiction Treatment Are Available? Cocaine is highly addictive, especially if used on a regular basis. Several different options exist for cocaine addiction treatment. The type of treatment you choose depends on the severity of your addiction and any co-occurring mental health issues. How Do You Know if You’re Addicted to Cocaine? Who Answers? if you have questions about cocaine rehab center costs or which type of treatment is right for you. It can be difficult to tell if you or a loved one is addicted to cocaine. But if your cocaine use has caused significant impairment in one or more parts of your life, then you should consider getting treatment. A need for more cocaine to reach the desired effect. A loss of interest in previously enjoyed hobbies. Involvement in illegal activities such as theft, prostitution and drug dealing. Who Answers? to find out if your insurance provides full or partial coverage for your addiction treatment. Type of treatment: Since you live at the recovery center and receive 24-hour care during inpatient treatment, it typically costs more than outpatient treatment. Location of treatment: If the treatment facility is located somewhere desirable and beautiful, it may cost more than recovery centers in other locations. Length of treatment: Typically, 30-day treatment will cost less than 60- or 90-day treatment. There are plenty of ways to finance your treatment for cocaine addiction if your insurance doesn’t cover it. Health insurance exchange: Healthcare.gov offers a state insurance marketplace where you can shop for affordable health insurance and compare prices. Payment plan/sliding scale: A rehabilitation center will work with you to determine what you can realistically pay for your treatment. Financing recovery through credit cards and loans: If you have a savings account or credit card, you may want to consider using one of those to finance your treatment. Additionally, you can apply for a health care credit card, which has lower interest rates than some other options. A few companies specialize in loans specifically for health care as well. Crowdfunding: Websites such as GoFundMe and IndieGoGo are also viable ways to raise money for your recovery. Medicaid and Medicare: Medicaid has expanded its substance abuse coverage to at least 5 million adults who qualify. 8 Medicare covers the cost of substance abuse treatment as well. The type of treatment you choose depends on your needs and circumstances. The type of treatment, whether it’s inpatient or outpatient, and the amount of time you spend in treatment, depends on your individual needs and circumstances. If possible, consult with a mental health or addiction treatment professional beforehand to get a feel for what type of cocaine recovery center will benefit you the most. Your own preferences matter, however. Do some research about the different kinds of treatment available to you before you make a decision. Inpatient treatment means you live at the facility for the duration of treatment. It is commonly recommended for those suffering from a severe addiction. This is the best option if you want to get away from your using environment to focus on recovery. In an inpatient cocaine rehab center, you receive individual and group counseling, and you are provided round-the-clock access to medical care, when needed. The standard stay at a residential treatment center is 30 days, 60 days, or 90 days, but can be adjusted dependent on individual situations and requirements. Executive treatment is a type of residential treatment that caters to business professionals who want to continue working while in recovery. Luxury: Luxury treatment has added recreational activities and amenities similar to a resort or vacation. If your struggle with addiction is relatively recent or less severe, you have a good social support system in place, and you’re unable to neglect home, work or school responsibilities, then an outpatient drug treatment facility may be a viable recovery option for you. It allows you to live at home while attending therapy at a treatment center. Counseling and therapy: 3 Counseling and therapy help you to develop beneficial communication and coping skills while addressing underlying problems and behaviors that may played a role in your cocaine abuse. Intensive outpatient: 4 Intensive outpatient rehab programs provide access to a more structured and comprehensive suite of services than the standard outpatient treatment appointment. But you are still able to return home at the end of the day. It is common for people to enter intensive outpatient after completing an inpatient stay. It consists of spending a minimum of 9 hours a week at the program. Partial hospitalization: 4 Similar to intensive outpatient, this provides a more immersive environment for a portion of the day than typical outpatient programs. You attend partial hospitalization if you need medical supervision but don’t want to stay at a facility. You spend a maximum 20 hours a week receiving treatment at the hospital. Many people who suffer from cocaine addiction also suffer from some form of concurrent mental health issue. When someone is struggling with a substance abuse disorder as well as a mental health disorder, they are said to have a “dual diagnosis.” Some recovery centers specialize in dual diagnosis treatment. Whether you’re suffering from a poly-drug addiction or a co-occurring mental or behavioral health condition, you need treatment that addresses both disorders to minimize your risk of relapse. 12-step programs, such as Cocaine Anonymous, follow the 12 steps originally created by Alcoholics Anonymous. Cocaine Anonymous is an encouraging fellowship of recovering cocaine addicts that provides support to those in cocaine recovery. It’s free to become a member, and many people attend meetings for the rest of their lives due to the comfort of the environment. Who Answers? if you or someone you love has a problem with cocaine. The cocaine addiction treatment process is similar to the treatment process for many drugs. It usually includes the following. Intake consists of an initial meeting with a therapist. He or she will assess the severity of your cocaine abuse as well as diagnose any co-occurring mental health conditions. Intake is a necessary step in the treatment process, because without it, you won’t receive the proper treatment for your addiction. Cocaine detox is the safest way to cleanse your body of the drug. It helps to manage unpleasant cocaine withdrawal symptoms, as well as potentially dangerous ones such as new-onset depression and suicidal ideation. You will receive around-the-clock care in order to ensure that you’re as comfortable as possible during the detox process. Therapy is an integral part of cocaine addiction treatment. It assesses the root problems that influenced your abuse, while helping you to build healthy coping skills for stressful situations. Matrix Model: 6 The Matrix Model is an intensive, 16-week outpatient program created to treat stimulant addiction. It includes urine testing, education, counseling, social support and relapse prevention. Contingency management: 7 This therapy is based on rewards for positive or desirable behaviors (refraining from using cocaine), which encourages you to remain abstinent. 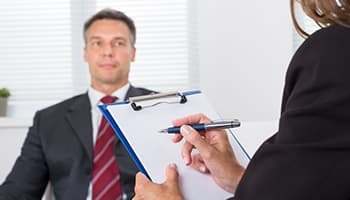 Cognitive behavioral therapy: 7 Also known as CBT, this therapy helps you cope with cocaine use triggers and identify the connection between thoughts, feelings and drug-seeking behaviors. Motivational interviewing: 7 Motivational interviewing focuses on your willingness to promote positive and healthy change in your life by entering cocaine addiction treatment. Your therapist will create a plan for you to continue your sober living upon completion of treatment. Aftercare or follow-up care can consist of different forms of treatment and helps to prevent relapse. Therapeutic community or other sober living residency. If you want to separate yourself from your cocaine using environment, it may be beneficial to travel for your rehabilitation. Conversely, if you wish to be near your friends and family for support, then it may be smart to pick a recovery center closer to you. Some treatment programs have more experience with treating addiction to cocaine than others. It’s crucial that you investigate whether the recovery center specializes in cocaine addiction treatment, so that you can maximize your recovery treatment. Cocaine addiction may not be an isolated disorder; often, it can cause or make worse a physical or mental health problem. It’s extremely important that you receive the necessary treatment to address these issues to prevent relapse. Make sure the rehabilitation facility creates an individualized treatment plan to address your personal needs. No two people or addictions are the same, so they shouldn’t be treated as such. Unfortunately, not all treatment programs are equal. Find a treatment facility that has qualified and certified staff members. Counselors should be certified in addictions counseling or an equivalent mental health qualification. Our mental health is often influenced by our family and support system. Many treatment programs involve the family in treatment to promote healing and to improve communication or repair broken relationships. Fortunately, many cocaine rehab centers focus on treatment of teen substance abuse and mental health disorders. Dual diagnosis. It’s important that the recovery center specializes in dual diagnosis to address co-occurring disorders and prevent relapse. Family involvement. It’s beneficial for the treatment facility to involve the family in the teen’s recovery. This creates a supportive and healing environment for the teen. Outdoor/wilderness therapy: Some outdoor therapy or wilderness programs are specifically designed for teen addiction recovery. Licensed counselors and wilderness instructors conduct treatment for cocaine addiction while accompanying teens on a trip into the wilderness. 12-step: 9 12-step programs for teens, such as Teen Addiction Anonymous, use the 12 steps created by Alcoholics Anonymous to promote addiction recovery. Teen Addiction Anonymous focuses on empowerment and inspiration to commit to positive life changes. Outpatient: This kind of treatment allows the teen to live at home while receiving treatment and still attending school. This option isn’t recommended for teens suffering from a severe cocaine addiction. Inpatient: Inpatient treatment allows the teen to live at the facility while receiving individual therapy and group counseling. Unlike adult inpatient recovery centers, teen facilities often offer academic tutoring. Additionally, inpatient treatment programs believe in the importance of involving the family in the teen’s cocaine rehabilitation. A cocaine addiction can lead to a number of serious mental and physical problems. If youre ready to get help for yourself or someone you love, contact a treatment support specialist at 1-888-319-2606 Who Answers? to learn more about rehabilitation center options.
. Lloyd, S., Faherty, C., & Smeyne, R. (2006, February 1). Adult and in utero exposure to cocaine alters sensitivity to the Parkinsonian toxin 1-methyl-4-phenyll-1,2,3,6-tetrahydropyridine. Retrieved October 5, 2015.